Clever take-off of the Farmers Insurance commercials by the City of Richland. I do wonder why a Kamiakin High School logo showed up on the Richland video. It is a good lesson to learn. Lock it – or – Lose it! 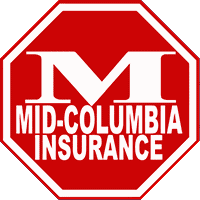 You can call us or come into one of our offices in Kennewick, Pasco, or Yakima, or use our online quote page to build your car insurance policy with the coverages, options, and deductibles that you can afford.